D4R are really excited to announce our partnership with American beauty brand, Too Faced! Our recent project includes their first purpose-built concession launched in the infamous Selfridges London beauty workshop! 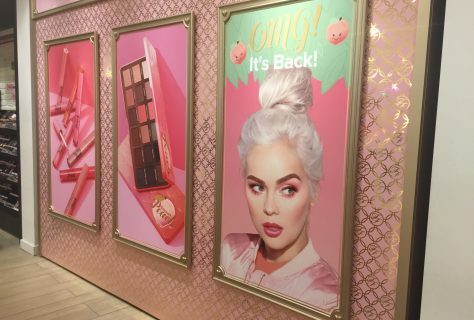 This first phase of the Too Faced roll out showcases the brand, promoting their philosophy that every girl should be made to feel a little bit special when investing in beauty products. As well as making a statement to every young and adult woman, this design is synonymous with the eye-catching Too Faced packaging. 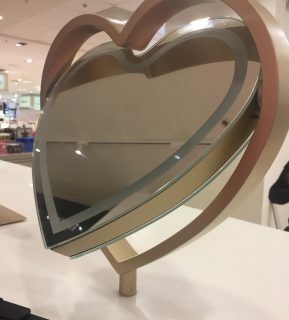 There are a few key signifiers as part of the new shop in shop including: the heart shape illuminated mirrors, sparkly pink fabric header with a halo illuminated logo and the mirrored gold repetitive pattern on a customised pink wallpaper. Large scale graphics also appear on the back wall of the shop-in-shop, brazenly making a statement on this fabulously pink space. The mid-floor stand is both feminine and luxurious, with a faux marble table top, diamond cut glass drawer handles and pink glass painted with metallic gold dots; combined to create a stunning visual impact. Emerald-cut mirrors and luxe gold seating offer customers the ability to relax and decide which Too Faced product matches their complexion and meets their requirements. 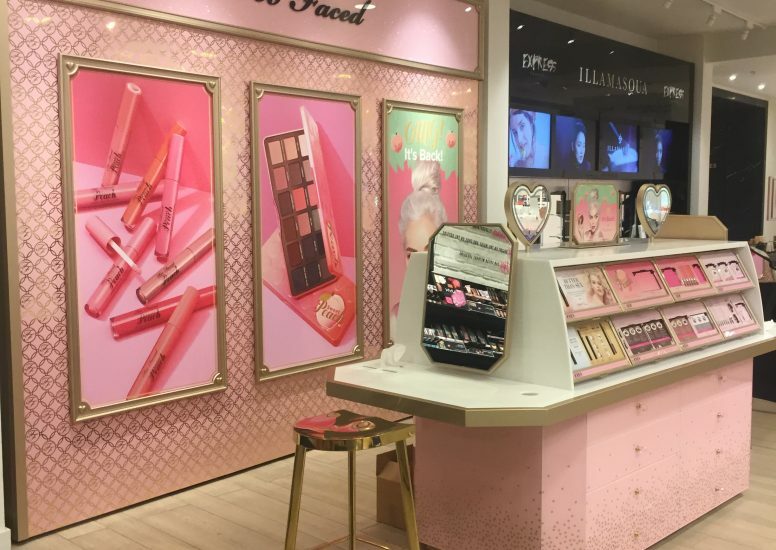 The new Too Faced concession is bold, feminine and quirky – all key signifiers for this beauty brand. 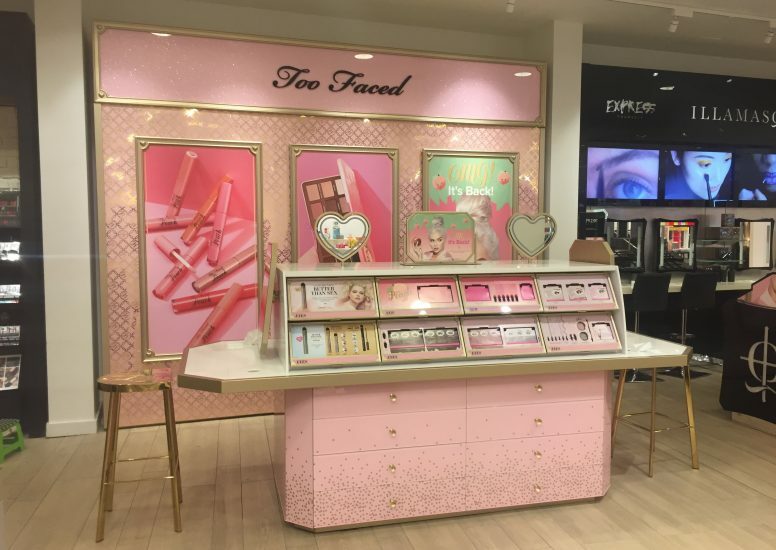 Establishing themselves as luxury for every girl, Too Faced entered the physical UK market with a bang in February! Find them between NYX and Illamasqua in Selfridges, providing the perfect pop of pink! Here at D4R we are very much looking forward to the next phases of our Too Faced roll out, so keep your eyes peeled for further projects on our blog!